Want a free lesson? Then register with Keys2Drive and ring us with your ID number and we are ready to go. Standard lessons are for one full hour and cost $60. 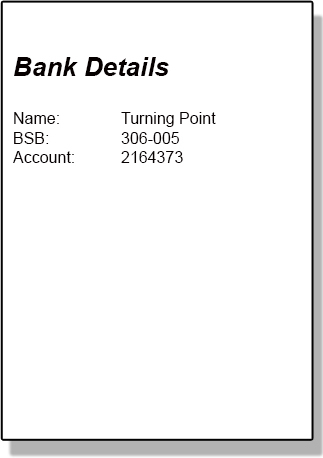 At Turning Point we appreciate that for some people it is not always easy to afford the costs involved in paying for professional tuition. We try and help our students by offering a referral system. 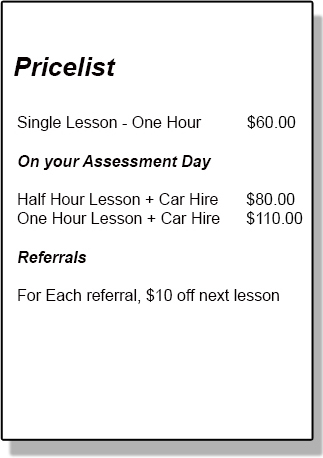 Its easy, if you refer a friend that books a lesson, your next lesson will only cost you $50.00. 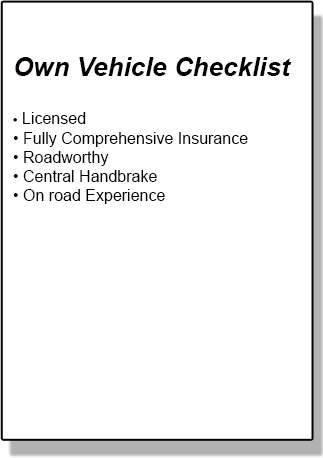 You can also save by using your own car, but please refer to the checklist below. Visit this Department of Transport page to book your driving test online. © Turning Point Driver Training 2014 - 2017. Site by Doig Website Technology.